“In the context of the review of the Co-op’s assets and investments, we have made the decision to sell the livestock division to Carrfields Livestock. This will better serve the livestock team and the farms they service. “While Farm Source’s livestock division has contributed positive returns since inception, we believe the investment required to maintain and grow this division can be more effectively targeted towards improving core areas of the Farm Source™ business,” says Mr Allen. Craig Carr, Carrfields Group Managing Director, says this acquisition is both exciting and a strategic opportunity for Carrfields Livestock to fill gaps in their current national network. “This acquisition will take the Carrfields Livestock team to over 150 livestock agents spread right across the country. 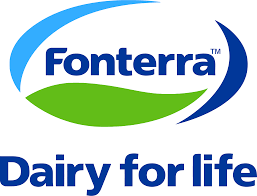 This strategic partnership will offer Farm Source™ clients and Fonterra farmer owners access to a nationwide agent and sale yard network provided by a New Zealand family-owned business,” says Mr Carr. Farm Source™ and Carrfields Livestock are committed to ensuring a smooth transfer of employees and clients, minimising any disruption to the business with Carrfields Livestock’s ownership commencing 1 March 2019. For a small number of employees who will not have the option to transition to Carrfields Livestock, Farm Source™ will support them in identifying new opportunities within the Co-op.